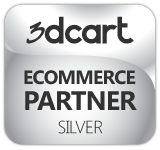 3DCart is a leading shopping cart software that helps you build a full hosted ecommerce store. All it takes is 60 seconds to get started. They have 24/7 Technical Support, 60+ Designer Templates, Sell in Facebook and Mobile Devices as well a Integrated social sharing platform. Check out the video for more information. 3DCart has many plans depending on your business needs starting with 200 products up-to unlimited. 80+ Professional Ecommerce store templates you can customize to get you started. Here are a few examples in the below. All templates are easy to adjust and customize with the Quick Edit Bar, Just drag and drop! Watch the video below to learn more. 3DCart offers responsive sites that are customizable, you can upload your own Logo Banners and More. With 3DCart you can keep track of inventory, taxes, shipping rates and orders easily. Overall I think they have great features and options for beginners and designers as there is so much more than I have posted here. (Disclosure) This article contains affiliate links. I get enough traffic on this website that it pays for itself just from the affiliate links. I like creating allot of unique content but it can be very time consuming and you always have to update it when products and services change and are not offered anymore. I was thinking about a online store where everything is pretty much automated, So I said dropshipping? no, a store where I can keep track of inventory? no, all this is allot of work. I remember a few years back I was an associate member of Amazon.com and recently I saw in my mail an advertisement for $75 in free product advertisement so I headed on over to check it out and found what I was Looking for. Amazon has aStores where all you do is pick out your products by categories and subcategories and enter in a few keywords. After that just put a little code on your website and your done! feel free to check it out on the picture link on left and sign up.